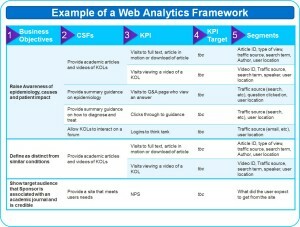 Measurement frameworks are visual representations of what makes your site work. The principle is that you know what your website is about (Business Objectives) and you know how you are trying to make them work (they are your goals or critical success factors). This then will describe to you what you should be measuring and what sort of things you might want to segment against. 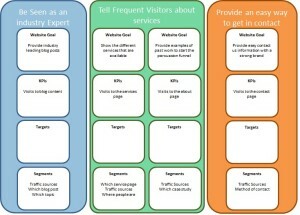 The visual representation is then something that you can pin up on the wall in your office, so that any time someone comes to you with a pointless data point, you can ask them to point to the place on the measurement framework that shows that what they are talking represents performance against objectives. 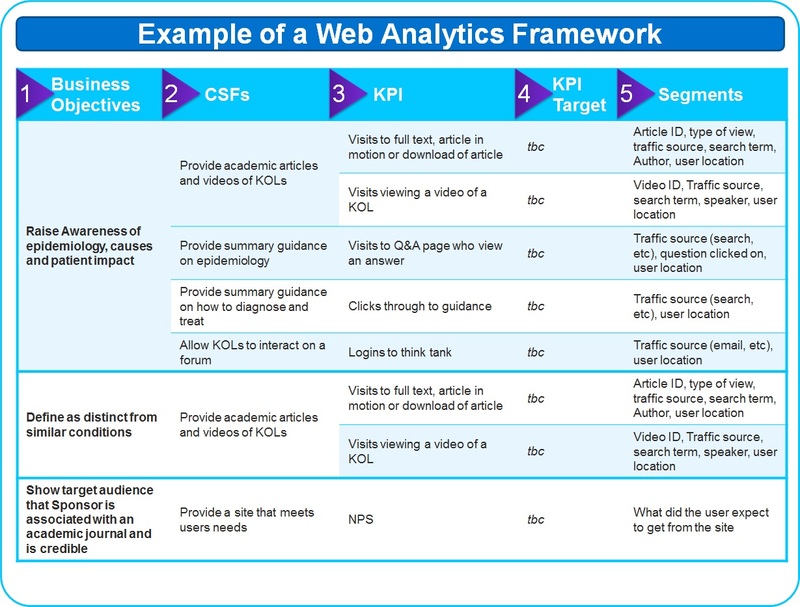 How Are Measurement Frameworks used? Analytics people use them to set up analytics tools and reports. The tools are set up so that the KPIs are the goals, or events, or whatever your tool calls them. The segments are set up so that you can get reports for the KPIs against those segments. The reports show how you are performing against the target you specified. Marketeers use them to help them with their tactical planning. 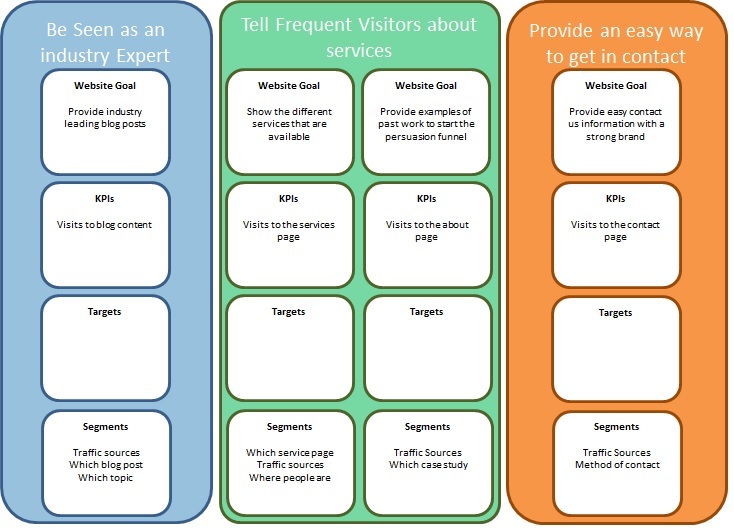 The objectives and the goals can tell them what they should be aiming for with the site and they can attempt to get them through paid search, organic search, affiliates, partners, etc. If you’d like help creating your measurement framework, please contact Alec.